The facade of the building is beautifully decorated. I like them so much. Wow, that is a really big sundial and a long shadow. A beautifully decorated building indeed!! Wonderful, colorful captures for the day, Pietro!! Thank you for sharing!! I hope you are enjoying a lovely weekend!! 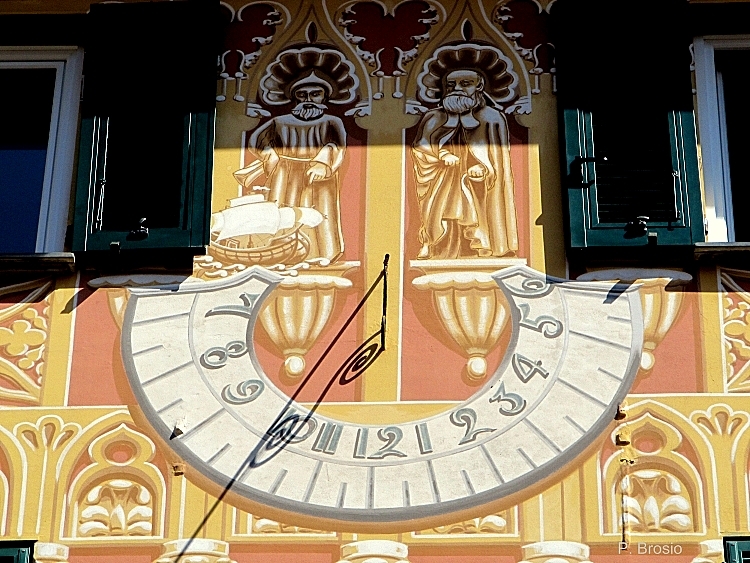 Fabulousl sundial and beautiful colours on the building, lovely pictures..
Beautiful Sun Dial, so much work of art on it. Wow - I adore that house! So beautiful. That's so beautiful that it seems to be completely new !! Una parentesi di antico che fa capolino nella modernità. 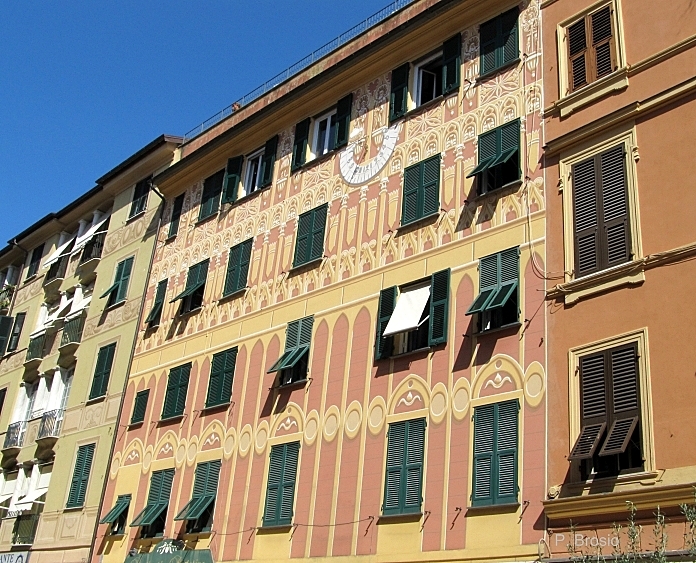 Such a pretty painted facade!!! Hello, I love the colorful buidling and the sundial. Great shots. Enjoy your weekend! Beautiful shots! The light on the buildings looks lovely. Happy weekend. 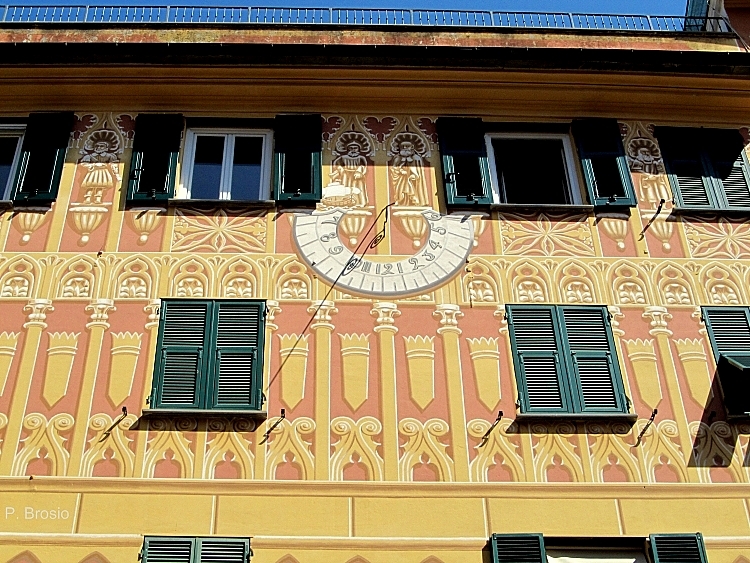 I've never seen a sundial like that-- oriented vertically and integrated into the building's facade! Beautifully captured. Wow! Such grand designs and art! Fantastic shots! Love always your photos of Sundials, Pietro! The Ligurian house is just beautiful! Hi Pietro, Sundials are one of my favorite things. Yes, I'm old fashioned. :-) Sadly, we don't have many of these beautiful dials in America. Thank you for sharing these photos!